How do you convince a cat to use a scratching post? I just got mine a new one, and he refuses to use it. He'd rather shred my furniture. Funny you should ask. We just got a new scratching post, too, and none of us will use ours either. You can convince a cat to use a scratching post, but sometimes you have to be persuasive and patient. 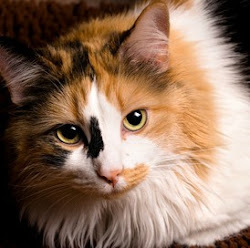 Cats are cautious, and it can take us a few days to get used to something new. And the problems with that new scratching post are that it smells like the store it came from, not us. And without our claw marks on it, it just looks like a big pole standing against the arm of the sofa. We have other posts and scratchers that we use all the time. 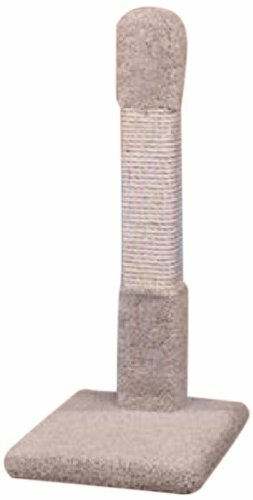 So here are some ways to convince a cat to use a scratching post. 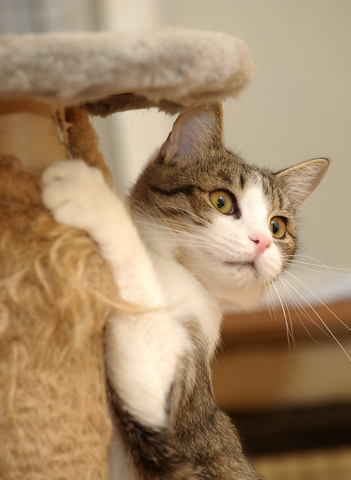 Make sure the base of the scratching post is wide, heavy and very stable. We don't like to scratch things that feel like they're going to fall over on us. One of the reasons we scratch is to stretch the muscles in our backs, so make sure your scratching post is tall enough for your cat to get a good stretch. Ours are 33 inches high. Put the scratching post at the entrance to a room he uses a lot. Another reason we scratch is to mark our territory visually and with the scent in our paw pads. To us, using a scratching post that's hidden away in a dark corner where no one can see it is just wasted effort. Another good place for a scratching post is against the furniture your cat's scratching. Even if you're not sure what it is, there's a reason why he's scratching there. And it's not to shred your sofa or chair! Some of us like cardboard scratching pads better than posts. Get the ones that are wide enough for the cats to nap on after they're done scratching. Try sprinkling some really good catnip on the base of the post and rubbing it into the post itself. That should convince your cat to use a scratching post. Hey, I'm really sorry about your furniture. I hope these suggestions help. Our human wrote this article on ways to stop your cat from scratching the furniture. Check it out. It's pretty good, considering she's not a cat! because it's so tall and stable.